What page did you come from? Albany Doors are the best in the business. They can be individually customized, giving you all the design and style options you want in an entry system, and are manufactured to the industry’s highest quality standards in a factory just a few miles away from Naperville, IL. 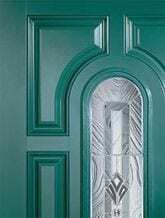 Albany’s entry doors are available in textured fiberglass, smooth fiberglass, textured steel, and smooth steel. They offer 25 different paint colors, 12 different stain colors, and more than 200 door styles. All of the styles are available with either a quick fit steel replacement frame or new construction wood or steel jambs. 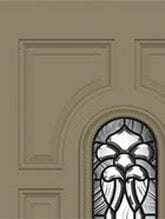 For more information about the fiberglass entry doors, steel entry doors, sidelites, and transoms that are manufactured by Albany Door Company and installed by Next Door & Window, contact us today. We would be happy to answer your questions and show you the many entry door systems we install for homeowners across the Naperville, IL, area. 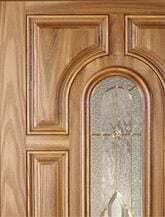 Specially engineered fiberglass door facings provide maximum protection and durability. Smooth Belleville facing provides an extra smooth surface for painting that will not dent and resists splitting, cracking, and warping. The surface of the Textured Belleville door produces an authentic wood door appearance by utilizing Masonite’s new, variable depth, wood-grain texture that finishes beautifully. New high-definition panel profile provides the Smooth Belleville and Textured Belleville with excellent shadow lines and distinct panel designs. The Smooth Belleville and Textured Belleville replicate the appearance of a wood door with stile and rail detail. A solid high-density polyurethane core results in an R-15.2 insulating value for doors without glass. Rigid polyurethane foam, meeting strict environmental guidelines, provides maximum thermal protection and dimensional stability. A superior door needs a superior frame in order to perform the way it’s designed to. 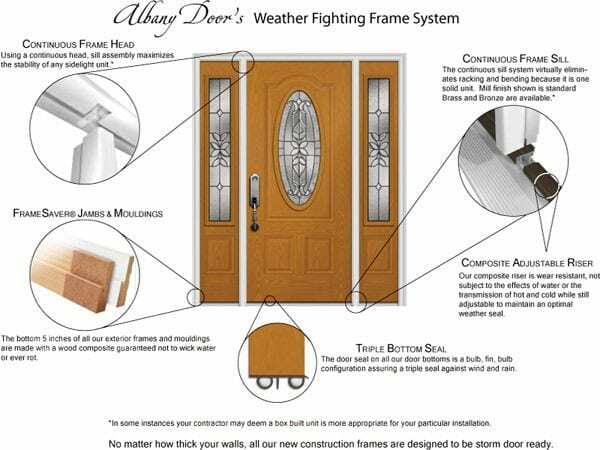 Albany Door Company manufactures several different types of frames, each of which can be customized to meet your needs. Thousands of options, One Perfect Fit. © 2019 Next Door & Window Inc., All Rights Reserved.